We provide Anti Skid Acid Tiles Flooring. Acid resistant bricks and tiles lining where maximum chemical resistance is required e.g. dyestuff, rayon, steel, thermal power stations, fertilizers, petrochemicals, food-pharmaceuticals industries on locations like floors, drains, tanks, reaction & storage vessels, effluent treatment plants. Customers can avail from us a remarkable range of Acid Proof Coving Tiles. These products are resistant to different factors that can degrade them. We manufacture these tiles using high grade raw material for manufacturing these products. 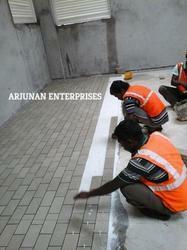 Our range is suitable for flooring of homes, commercial places, railway stations, bus stops and many other places. Our clients can avail these tiles with customization as per their requirement. In order to meet the distinguish requirements of the clients, we offer a range of Coving Tiles. To meet the flooring requirements of tanks and other equipment, these products are manufactured keeping in mind the exact requirements of the customers. Our range is extensively used in different industries like petrochemical, copper plants thermal power plants, integrated steel plants, chemical, fertilizers, pharmaceutical and more. The offered range is available in different grades and dimensions suiting best with the demands of our valued clients. Acid Proof Tiles offeredcome in quality constitution finish and come developed using quality raw material at high temperatures which make these provide for reliable working performance. Coming with anti corrosive properties, these can withstand harsh chemicals and its stains. Some of its features include offering superior resistance from acid and chemicals; come with easy cleaning support; available in different finish dimensions like in sizes of 108mm x 108mm, 200 x 100, 230 x 115,l 150 x 150, 200x 200,300 x 300mm; choice of thickness up to 25mm ; finding use in areas like chemical plants, power houses, battery rooms and others. 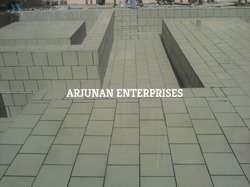 Our company has set benchmark in offering Acid Proof Tiles Lining to the clients. This product is accurately manufactured under the stern guidance of deft professionals using quality approved raw material and advanced techniques in line with set industry quality standards. 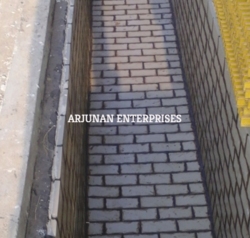 Acid Proof Tiles Lining is stringently checked by the quality auditors on well defined parameters so as to make sure a hassle free operation and performance of machine for long period of time. 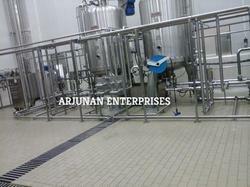 This product is accessible in standard as well as customized specifications as per the demand of customer. Looking for Acid Proof Tiles ?